DETROIT The federal fingerprint in efforts to fix Detroit is growing larger as the Obama administration has found millions of dollars in grant money to help the bankrupt city hire more police and firefighters, and clear out blighted neighborhoods. But considering the Motor City is at least $18 billion in debt, it will take a far larger infusion of cash or historic deals with bond holders, insurance companies and other creditors to correct the problem. Four high-ranking White House officials will discuss federal efforts and other opportunities Friday during a closed-door meeting at Wayne State University with Gov. Rick Snyder, state-appointed emergency manager Kevyn Orr, Mayor Dave Bing and community and business leaders. The federal money being directed Detroit's way by the U.S. government totals more than $100 million and will be augmented by millions of dollars more in resources from foundations and Detroit businesses, but it falls far short of a the wider bailout some in the city had sought. "Something is better than nothing," said Bridgette Shephard, 47, a social worker who lives in Detroit. "A bailout would have been better, but if we can sustain some of our needs with grants that would be a start. Let's take it. Whatever kind of money it is to benefit the city, I'm all for it." Gene Sperling, chief economic adviser to President Barack Obama, said the administration scrounged through the federal budget and found untapped money that "either had not flowed or had not gotten out or not directed to the top priorities for Detroit." Sperling and three other top Obama aides - U.S. Attorney General Eric Holder, Transportation Secretary Anthony Foxx and HUD Secretary Shaun Donovan - will meet with state and local officials Friday. The Obama administration repeatedly had signaled it would not offer a massive federal bailout like the one credited with helping rescue Chrysler and General Motors. "There is not going to be a bailout," Democratic U.S. Sen. Carl Levin told The Associated Press on Wednesday. "We have enough problems with the federal deficit. We need to be creative and look at existing programs. There are still some funds there." The funding announced by Sperling will include $65 million in Community Development Block Grants for blight eradication, $25 million in a public-private collaboration for commercial building demolition and nearly $11 million in funds to ensure working families can live in safe neighborhoods. Holder will announce $3 million that, in part, will be used to hire new police officers. About $25 million also will be expedited to Detroit to hire about 140 firefighters and buy new gear. "It wasn't enough to try and free the resources," Sperling said. "We had to make sure they are well-used and targeted." In addition, Orr, the city's emergency manager, has told the city's two municipal retirement systems he wants to freeze Detroit's pension plans and move to a 401(k)-style system. The gathering Friday follows a series of meetings with the White House to plot ways to pull Detroit from a fiscal pit that this summer made it the largest U.S. city to file for bankruptcy protection. Detroit has had a poor record in making sure grant money is used properly and even spent at all. In 2011, Mayor Dave Bing fired the director of the city's Human Services Department after an internal investigation revealed $200,000 intended for poor residents was spent on office furniture for staff members. 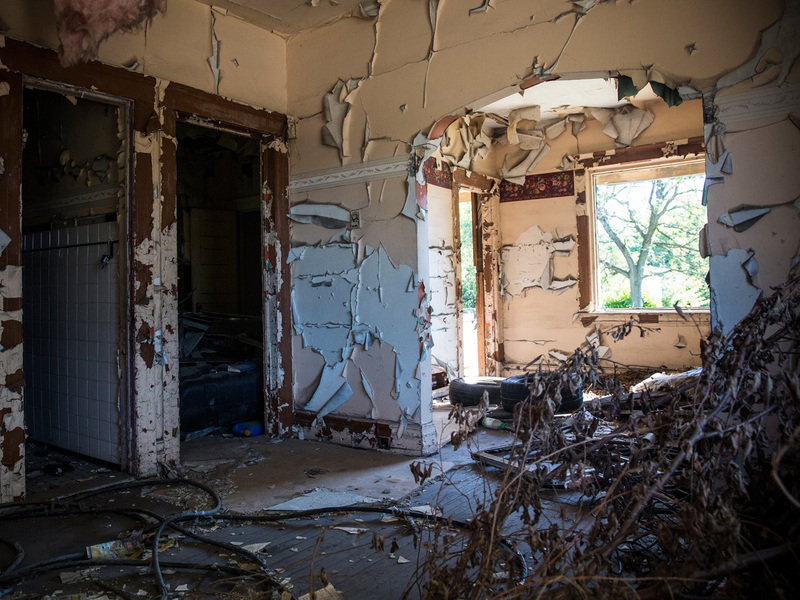 The following year, his office had to scramble to use about $20 million in grants that had been left sitting for demolitions of thousands of vacant houses. The city's Police Department also allowed a $400,000 grant to lapse for a new armored vehicle. The grant troubles have rankled Orr, the emergency manager Gov. Rick Snyder appointed to lead the city out of its financial mess. Orr has said Detroit is so poor that it can't afford to lose out on any resources. In July, he made Detroit the largest U.S. city to file for bankruptcy protection. Grants only can pay for things the city otherwise couldn't afford. Several businesses even pitched in $8 million earlier this year to help pay for a new fleet of emergency vehicles, including 23 EMS units and 100 police cars, to boost public safety and reduce response times. Police Chief James Craig said Thursday that he was in Washington a few weeks ago in search of federal resources for his department. "Our work together is critical in achieving our goals of making Detroit a safe city and providing the necessary resources in raising the morale of our most valuable asset, our people," Craig said. The Obama administration is trying to show its support without trying to send any message about a bailout, said Peter Henning, a Wayne State Law School professor. Officials, especially those from HUD and Transportation, can commit funds for infrastructure projects, while Holder can chip in resources for fight Detroit's high violent crime rate, Henning said. "So these are back door ways to provide federal funding and support without having to seek a bailout, which would be dead on arrival from both parties," he said. "The goal is to strengthen Detroit, but only indirectly. This is at best a muted commitment because what Detroit really needs is dollars and not just support that might be beneficial in three to five years. But any hope of that is a pipe dream."